The first in the UK to take delivery of the powerful 370ss Truckmounted cleaning system. 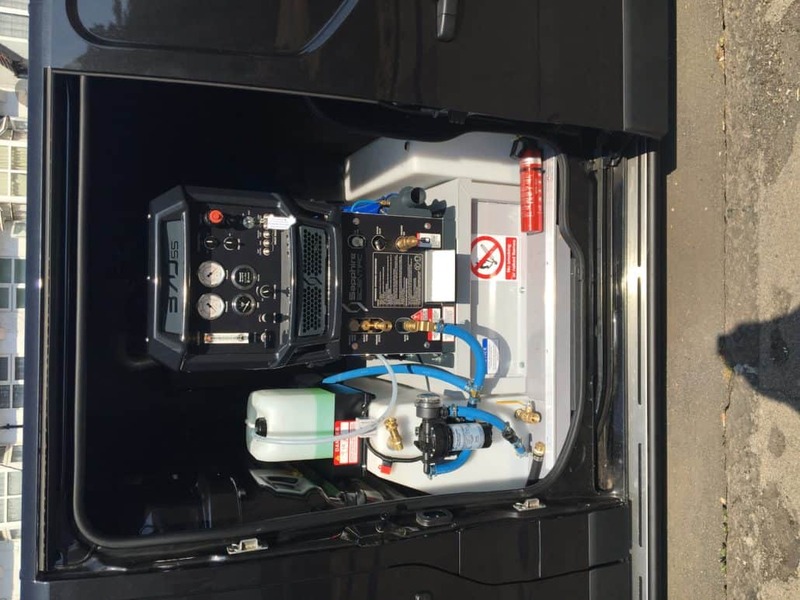 The Professional Cleaning Company Tunbridge Wells is the first in the UK to purchase new 2018 Sapphire scientific Truck Mounted cleaning system. This no1 bestseller now has a hot new look with carbon fiber-style details and a backlit front bezel for night use. This Truck Mount offers the hottest water and more vacuum than the competition and the best overall performance in its class. And the 370’s space-saving profile is half the footprint of other truckmounts. Clean carpets, upholstery, and will do flood extraction – this versatile machine does it. If you are looking to get your Carpets or Upholstery’s cleaned then look no further, with 350ft of hose we can get to a 7th floor flat so almost anywhere your fibres and fabric will have the deepest clean and super quick drying times over all our competitors. https://www.theprofessionalcleaningco.com/wp-content/uploads/2019/04/The-Prosressional-Cleaning-Co-Logo-1030x284.jpg 0 0 marcus https://www.theprofessionalcleaningco.com/wp-content/uploads/2019/04/The-Prosressional-Cleaning-Co-Logo-1030x284.jpg marcus2018-08-07 20:25:432018-11-07 16:50:57The first in the UK to take delivery of the powerful 370ss Truckmounted cleaning system.